An obligate carnivore (or true carnivore) is an animal that must eat meat in order to thrive (Syufy 2008). They may eat other foods, such as fruits, honey, grains, and so forth, but meat must be included in their diet. True carnivores lack the physiology required for the efficient digestion of vegetable matter, and, in fact, some carnivorous mammals eat vegetation specifically as an emetic. The domestic cat is a prime example of an obligate carnivore, as are all of the other felids (Pierson 2008). 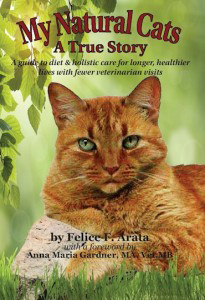 Most ALLOPATHIC vets chose to turn their heads form the truth so that they can thrive on the income created by processed pet foods.